Addiction is a complex disease of the brain and body that involves compulsive use of one or more substances despite serious health and social consequences. 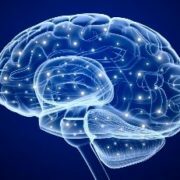 Addiction disrupts regions of the brain that are responsible for reward, motivation, learning, judgment and memory. It damages various body systems as well as families, relationships, schools, workplaces and neighbourhoods. Addiction is defined as a disease by most medical associations, including the American Medical Association and the American Society of Addiction Medicine. Like diabetes, cancer and heart disease, addiction is caused by a combination of behavioral, environmental and biological factors. Genetic risks factors account for about half of the likelihood that an individual will develop addiction. 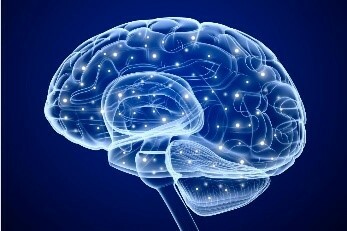 Addiction involves changes in the functioning of the brain and body. These changes may be brought on by risky substance use or may pre-exist. The consequences of untreated addiction often include other physical and mental health disorders that require medical attention. If left untreated over time, addiction becomes more severe, disabling and life threatening. A chronic disease is a long-lasting condition that can be controlled but not cured. About 25-50% of people with a substance use problem appear to have a severe, chronic disorder. For them, addiction is a progressive, relapsing disease that requires intensive treatments and continuing aftercare, monitoring and family or peer support to manage their recovery. The good news is that even the most severe, chronic form of the disorder can be manageable and reversible, usually with long term treatment and continued monitoring and support for recovery. The initial and early decisions to use substances reflect a person’s free or conscious choice. However, once the brain has been changed by addiction, that choice or willpower becomes impaired. Perhaps the most defining symptom of addiction is a loss of control over substance use. ARE PEOPLE WITH ADDICTION RESPONSIBLE FOR THEIR ACTIONS? Some people think addiction cannot be a disease because it is caused by the individual’s choice to use drugs or alcohol. While the first use (or early stage use) may be by choice, once the brain has been changed by addiction, most experts believe that the person loses control of their behaviour. Choice does not determine whether something is a disease. Heart disease, diabetes and some forms of cancer involve personal choices like diet, exercise, sun exposure, etc. A disease is what happens in the body as a result of those choices. Others argue that addiction is not a disease because some people with addiction get better without treatment. People with a mild substance use disorder may recover with little or no treatment. People with the most serious form of addiction usually need intensive treatment followed by lifelong management of the disease. However, some people with severe addiction stop drinking or using drugs without treatment, usually after experiencing a serious family, social, occupational, physical, or spiritual crisis. Others achieve sobriety by attending self-help (12-step or AA) meetings without receiving much, if any, professional treatment. Because we do not understand why some people are able to stop on their own or through self-help meetings at certain points in their life, people with addiction should always seek treatment.